Made of special steel with the Optima Fork Heel for increased durability and wear resistance. 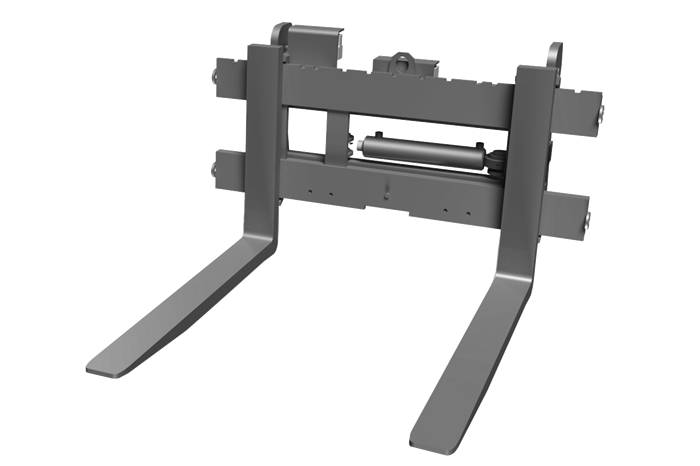 The stacker has a hydraulic side shift of ± 100 mm. The pallet fork is designed according to the respective load-bearing capacity of the carrier device. The adjustment of the tine distance is set manually. Locking is levered by pins that snap into the back of the fork.